College: Sacred Heart University: Bachelors of Science, Marketing. Law School: University of San Diego, School of Law – J.D. 2018, Concentration in Criminal Litigation. Admissions: Passed the July 2018 NY Bar Examination; pending admission. Raquel Tisi acquired her Bachelor of Science degree from Sacred Heart University where she majored in Marketing with a Concentration in Sports. During her undergraduate studies, she worked as a Paralegal for a Family Law firm. 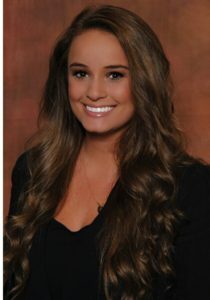 After graduating, Raquel began her legal studies in San Diego, California, where she competed in multiple Moot Court competitions, Mock Trials, and was a member of the Sports and Entertainment club. She also held numerous positions as a Law Clerk, including working for the City Attorney’s Office of Chula Vista. Raquel has taken and passed the July 2018 NY Bar Examination and is pending admission.